Only the 3 latter tapes are also available on CD. "Kom la oss synge" was released at the end of January 1999 and is the best of Flekkerøyguttene's productions so far. Flekkerøyguttene has every reason to have high expectations to this release. Trygve Bratland is responsible for both the lyrics and music of all the songs on this CD. He also plays the accordion in the choir. On board in the fish-boat "SPLEIS"
In total approx. 150.000 tapes and CDs were sold by the end of 1997. The bestseller so far is "Ut å fiske", which has sold more than 40.000 tapes and CDs. However, sooner or later the last release "Kom, la oss synge" is likely to exceed this number. Flekkerøyguttene has achieved impressive sales figures and has also been awarded two silver records. Unfortunately, the first silver record was destroyed in a fire many years ago, whereas the second has been displayed in Flekkerøy church. One additional recording has been made by another company, and one on which the songs are in Lappish. 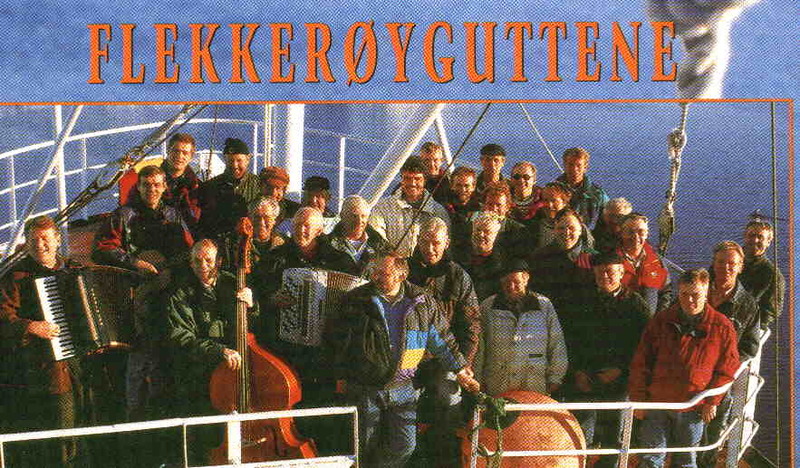 "Based on the number of records and tapes sold, Flekkerøyguttene is one of the most popular choirs in Norway. They draw full houses wherever they go. There is no doubt that Flekkerøyguttene is a choir unlike most other choirs. Although it has been critisized for its somewhat old fashioned musical style, the choir is nevertheless very popular, and the main reasons are probably its typical spontanity, excitement and distinctive character. Above all Flekkerøyguttene sing about their Lord Jesus. I have never before met people who are so committed to Christ. The book "Nådens glade gutter" is a happy story, in which "the Boys" tell their own stories of pain and suffering, losses and victories - and a kind of strenght unexplicable to natural science. In manyways Flekkerøyguttene reminds us of the ocean." This was a couple of extracts from the author's preface to the book about Flekkerøyguttene, which I highly recommend you to read. 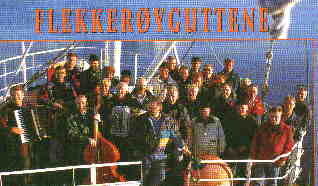 Over the years Flekkerøyguttene has become known throughout Norway, their contributions spanning almost a generation in the southern parts of Norway. The choir has made many a visit to various places in mid-Norway, in addition to numerous trips to Finnmark (in northern Norway). On several occasions both Sweden and Denmark have been introduced to this very characteristic choir. The Danish in particular has highly appreciated this choir from their neighbour country. Sveinung Kristiansen and Birger Nilsen are the musikal leaders of the choir. - "Sveinung is a pure genious, with an exceptional musical ear. As he is also an excellent singer, he has the main responsibility - I am just the handy man", says Birger Nilsen, showering compliments on his collegue and friend. He himself is very modest about his own role. However, other choir members reveal that Birger is a musical pivot, and that he very rarely misses rehearsels or appearances.